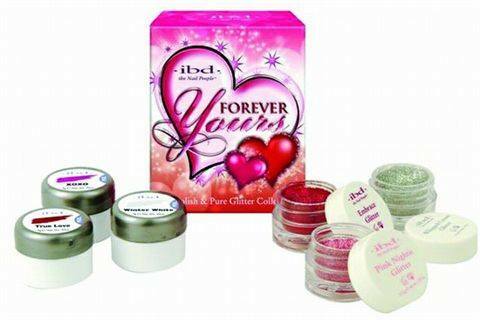 Ibd’s new Forever Yours Gel Polish Collection offers three polishes plus three glitters for a perfect pairing every time. With names like True Love, a gorgeous red polish, and XOXO, a passionate pink polish, romance is close at hand. ibd gel polishes offer shimmering, vibrant color and a no-chipping or peeling formulation. For more information, visit Ibd.